Use the contact form and state if only the cup is mildewed, or the small coloured cap as well. Please make sure to also enter your address, the colour and version* of your Dopper. 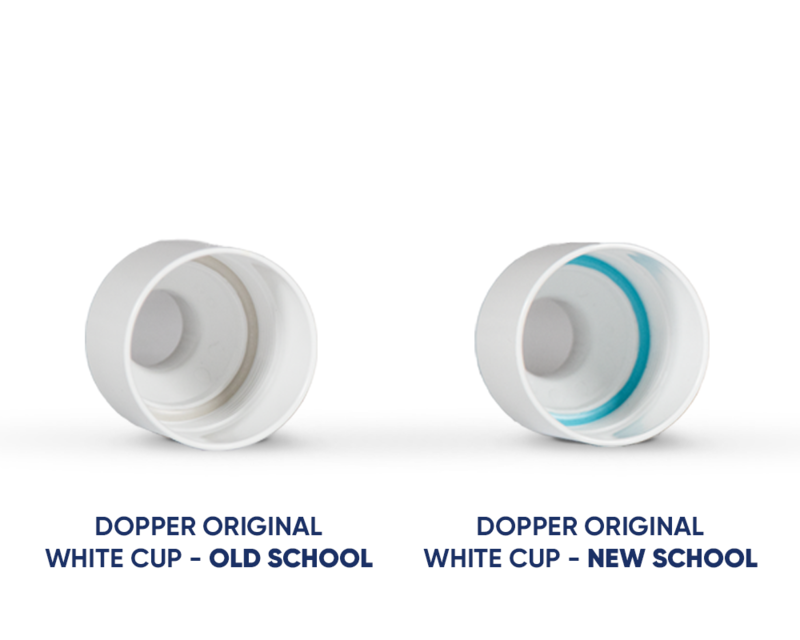 *We have two different versions of the Dopper Original. The spare parts of these versions are not interchangeable. You can recognize the Dopper New School on the blue ring in the cup (check it out in the picture below) and the lower screw on the bottle. There's also a little drop on the bottom of the bottle.